While we were camping a couple weeks ago we decided to go take Olivia to a different beach than the one we’d been playing at earlier in the day. She got all excited about the adventure and eagerly got into the boat to visit this distant place, which was essentially just on the other side of the campground. In fact, the way she latched onto the idea, it seems she understood that this beach was actually called Different Beach, and for the rest of the weekend she continually asked to go to Different Beach. Different Beach was where the party was at, in her mind. As a family, we seem to create routines and rituals. While these are necessary for many reasons, we’ve found that many of our best memories have been created when we decided to go off the beaten path and try something new. This is often hard for me, as I love being able to mentally prepare for the day and don’t switch gears easily. Those times when we do, though, often pay off. Olivia still talks about “Different Beach”, almost as a reminder to keep our eyes open for opportunities to disrupt our routines. 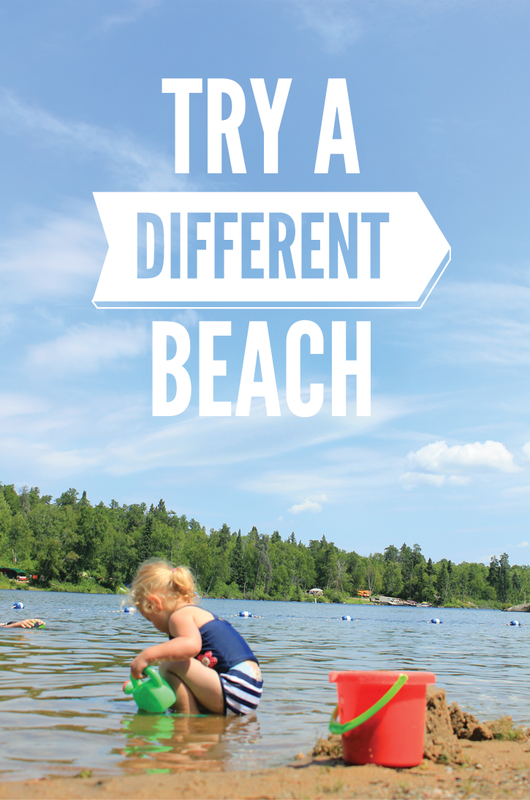 Try Different Beach, the water’s great!